Gentle white foil fiddle head ferns grace this beautiful Bat Mitzvah invitation which is raised printed on pale pink Camellia stock layered over Tarragon card stock. 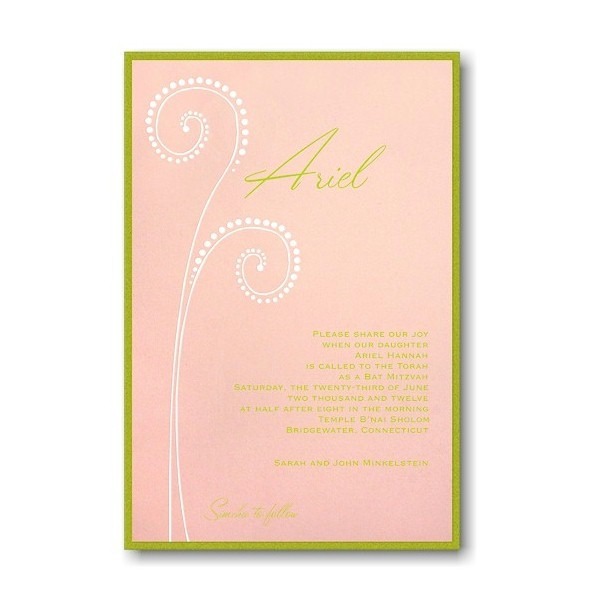 Gentle white foil fiddle head ferns grace this beautiful Bat Mitzvah invitation which is raised printed on pale pink Camellia stock layered over Tarragon card stock. Your wording will be artfully arranged like shown. Measures 5-1/4″ wide by 7-3/4″ high. Shown with Lime ink and lettering styles Gothic (block) and Marmalade (script). 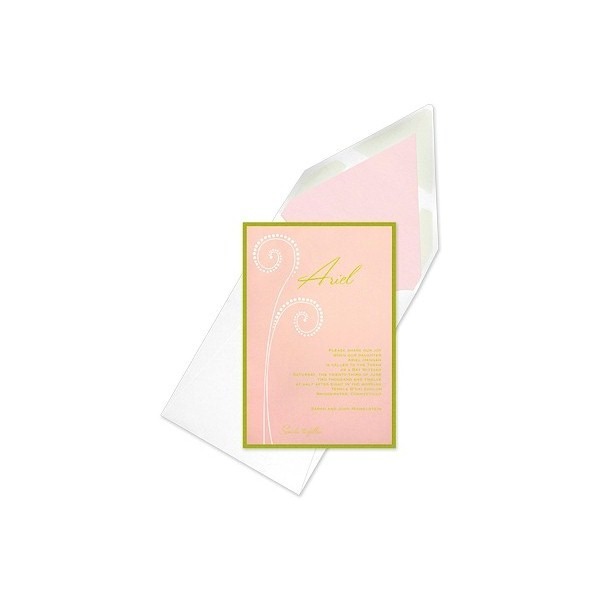 The Reception and Response enclosures will print on bright white single card stock and the Informal notes will print on matching folder stock. This Bat Mitzvah invitation comes with single bright white wallet flap envelopes. French Flap envelopes are optional and available as an upgrade.